Sadya bang swerte-swerte lang? – CHUBIBO! MICROSOFT: A TURN OF THE PC TIDE In 1980, Digital Research developed the leading non-Apple operating system for personal computers. 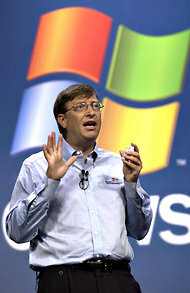 Luckily for Bill Gates, it failed to impress I.B.M., so Big Blue turned to Microsoft. At the time, Microsoft didn’t have an operating system — and Mr. Gates had no plans to create one. 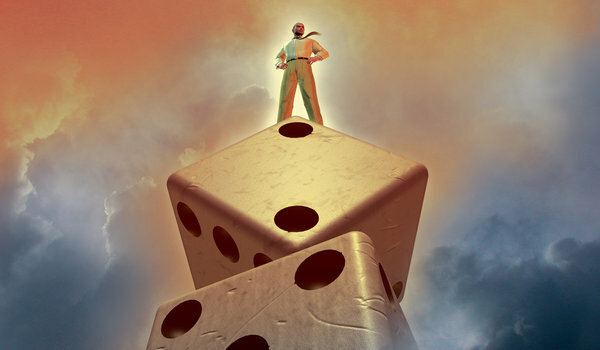 But he recognized the moment and committed his young company to a brutal schedule to develop the system for the I.B.M. PC. STRYKER: FILLING A VACUUMWhen Lee Stryker died in a plane crash in 1976, the company was left without a C.E.O. or a clear heir to its leadership. 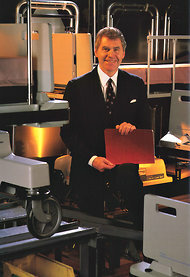 The board hired John W. Brown (above, shown in 1991) who would prove to be one of the most extraordinary C.E.O.s of the last half-century. Mr. Brown, who led the company for 27 years, transformed it from a small, privately held family concern into a major medical products company that became a darling of Wall Street. INTEL: GOODBYE AND HELLOJapanese companies unleashed a price war in DRAM computer chips in the mid-’80s, driving down prices 80 percent in two years. The business offered nothing but misery — bad luck for Intel, as DRAM chips were its main business. Gordon E. Moore, right, and Andrew S. Grove (shown in 2001) asked themselves what new managers would do. The answer: Get out of DRAMs. So Mr. Grove suggested that he and Mr. Moore leave the company, metaphorically speaking, and return as those new managers. They exited memory chips and committed Intel to the new market for microprocessors, for which it’s known today. AMGEN: HELP WANTED, AND FOUND In 1981, Fu-Kuen Lin, a Taiwanese scientist, happened to see a classified job ad from Amgen, then a small start-up company. Mr. Lin happened to be looking for a job — and that lucky break became a defining moment for the company. George B. Rathmann, its founding C.E.O. (above, with Mr. Lin), recognized the scientist’s talent and drive and built an environment where he could thrive. Mr. Lin logged 16-hour days to isolate and clone what is known as the EPO gene, which led to one of the biggest biotechnology products of all time. • Was Bill Gates the only person of his era who grew up in an upper middle-class American family? • Was he the only person born in the mid-1950s who attended a secondary school with access to computing? • Was he the only person who went to a college with computer resources in the mid-’70s? The only one who read the Popular Electronics article? The only one who knew how to program in Basic?